Baker believes the cannabis shopping experience should be as comfortable and personalized as it is in every other retail environment. Unfortunately, because of strict policy and antiquated technology, business owners have been caught in a race to the bottom. 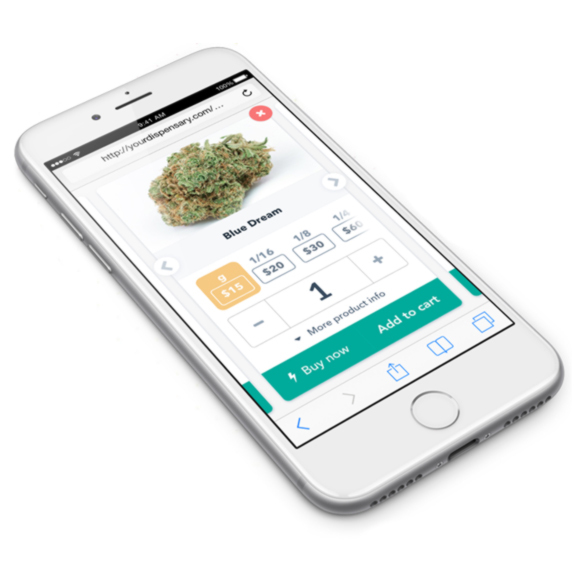 With expertise in retail, technology, and cannabis they have created an industry-specific CRM platform that helps dispensaries drive revenue and build engagement with customers. We happily tell clients about the Baker app because we believe it is the best menu solution in the cannabis industry today. Baker loves to tell their clients about us because we have a proven track record of implementing the app and increasing sales with our SEO. Baker is trusted by 1,000+ dispensaries to provide a menu solution that integrates with POS systems, and digital menu boards. • Chat online with customers once an order is placed. • Pair your online store with your loyalty or point program and promotions. • Fulfill orders for in-store pickup or delivery. • Individually customize to meet your State regulations. You can’t improve what you can’t track. That’s why Baker provides complete insight analytics for your store. 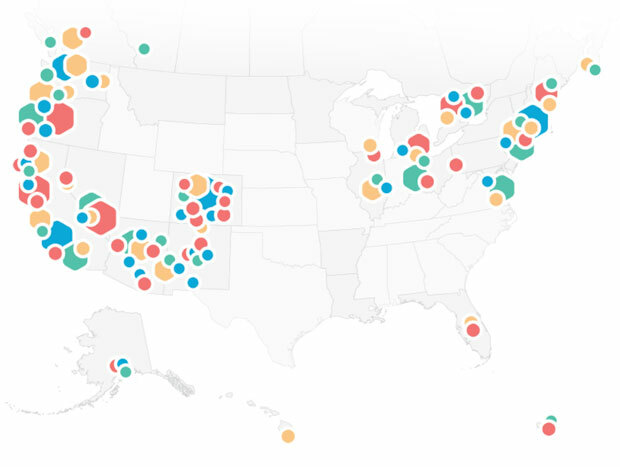 Data can be separated by in-store purchases, online purchases, and more. • Easily identify your most profitable products. • Identify foot-traffic trends and schedule promotions during slow times. • View customer shopping patterns for direct marketing. • Get easy-to-read actionable data you can truly market with. Check-in and Loyalty programs provide your business with greater opportunities. They increase average spending, in-person visits, and provide you with an analytics advantage. • Track customer purchases and advertise to individual customers. • Integrate your rewards system with your online store and inventory system. • Easily allow customers to track points and discounts. • Build a community around your dispensary and reward your best customers. Advertise specials directly to your customers via text message. Text ads are one of the easiest ways to advertise weekly deals, daily deals, and manufacturer specials. 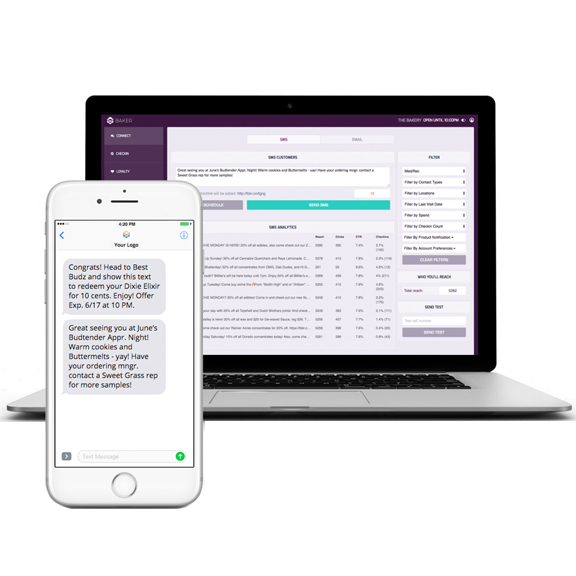 • Track text link clicks and improve your message. • Increase foot-traffic and move excess inventory. • Pre-schedule your text alerts in advance. • Easily see how many customers come in after SMS advertising. We find our clients the best emerging tools in the industry so you can integrate, not separate. Your online inventory system shouldn't separate itself from your point-of-sale system. You don't need an individual hub for customer information, and you definitely shouldn't spend your marketing budget on a pay-to-play system. That's why we integrate our client's sites with Baker. Point of Sale Integration ☑ Your online inventory matches your physical inventory. ☒ You have to manually update product listings on-site. 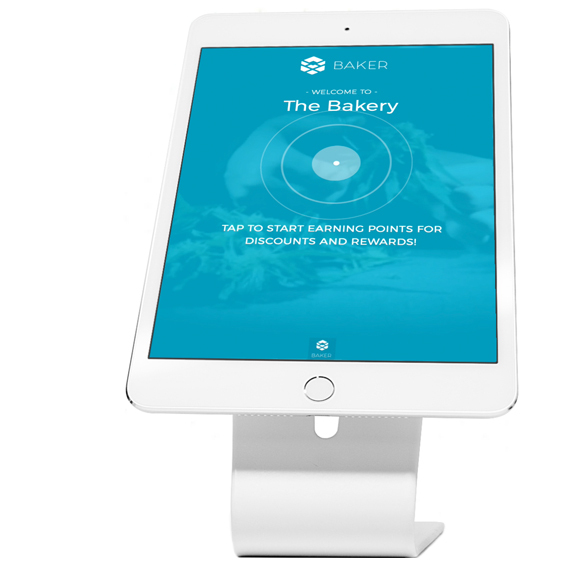 Reward System Integration ☑ Baker captures customer data for your loyalty programs. ☒ Leafly does not integrate with any POS system. Online Sales ☑ Yes. Baker integrates online sales directly into their platform. ☒ No. Users can only see prices and strain information. Text Message Marketing ☑ Yes. Send your loyalty members direct messages. ☒ No. Leafly does not offer SMS user engagement services. Integrated Analytics ☑ Yes. 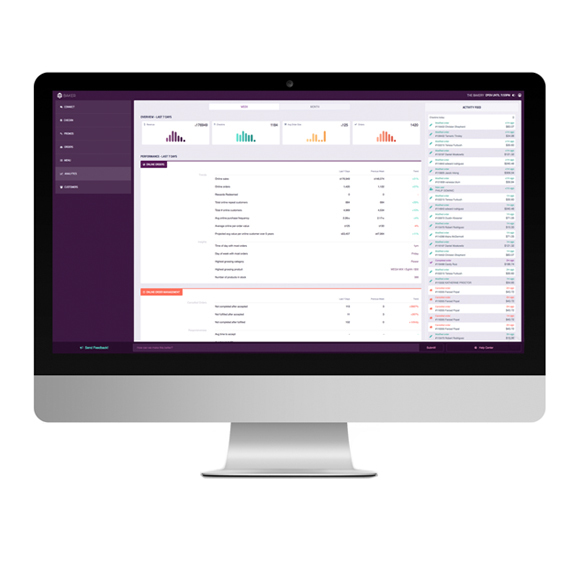 Customer, timeline, and product data at a glance. ☑ Yes. But only through Leafly data acquired by Pay-to-Play. Web Development clients receive 10% off their subscription!